The previous phases of the Calayan Rail Project have seen the initiation of a long term conservation programme on Calayan Island and building local skills of local stakeholders for conservation. 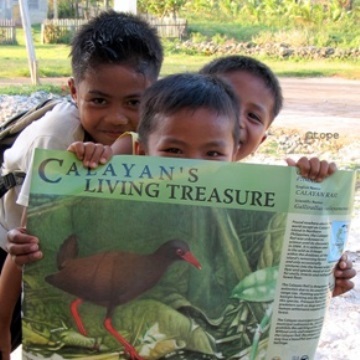 Building on the progress of its predecessors, this proposed project aims to increase community involvement in conserving the island-endemic Calayan rail (Gallirallus calayanensis) and its habitat. We propose to increase involvement of stakeholders in information and education drives, establishing a wildlife sanctuary, reforestation training and Calayan rail population monitoring surveys. The project also aims to strengthen the capacity of ISLA (an established group of scientists and conservationists) to sustain its conservation initiatives in small islands like Calayan.